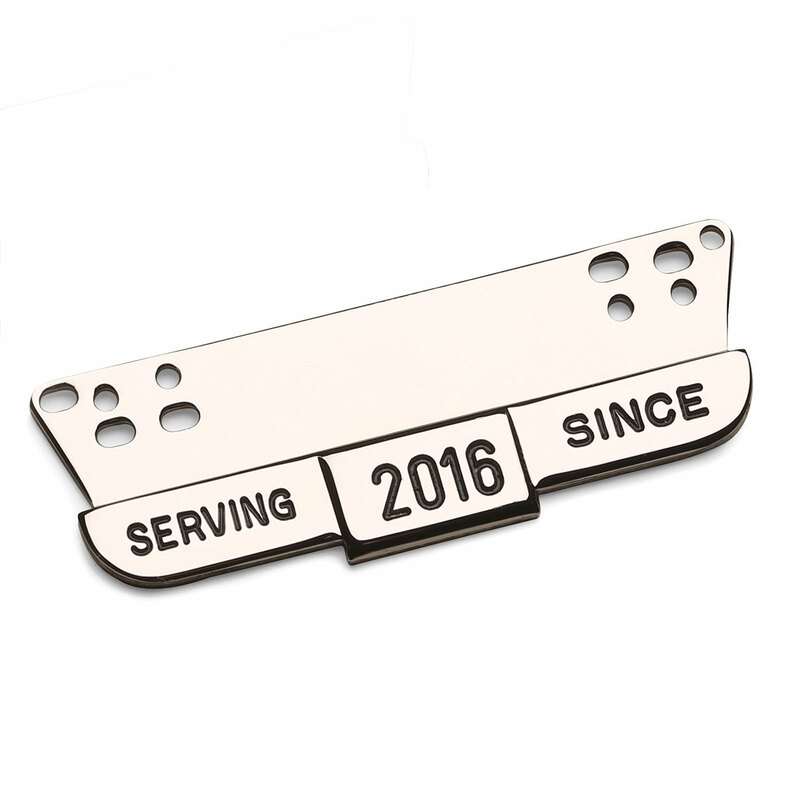 Proudly display your years of service. Simply attach to your nameplate for a perfect match to your nameplate’s finish. Not compatible with pin or magnetic backs.